LAST CHANCE! 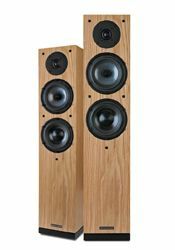 Win a pair of Spendor A5 speakers | What Hi-Fi? For a speaker that stands just 79cm tall, the A5s are pretty heavy – it’s almost as if they’re made from concentrated essence of loudspeaker. The looks are purposeful, the wood veneer is tactile, the finish flawless. Even the binding posts are classy. The A5s are talented, too – they summon real low-end punch, extension and control, and deliver great texture whatever genre of music you’re listening to. To win a pair, just post your entry on our competition page.